Val & I are very excited to be a part of introducing to you the Home Routes 'Maritime Circuit'. 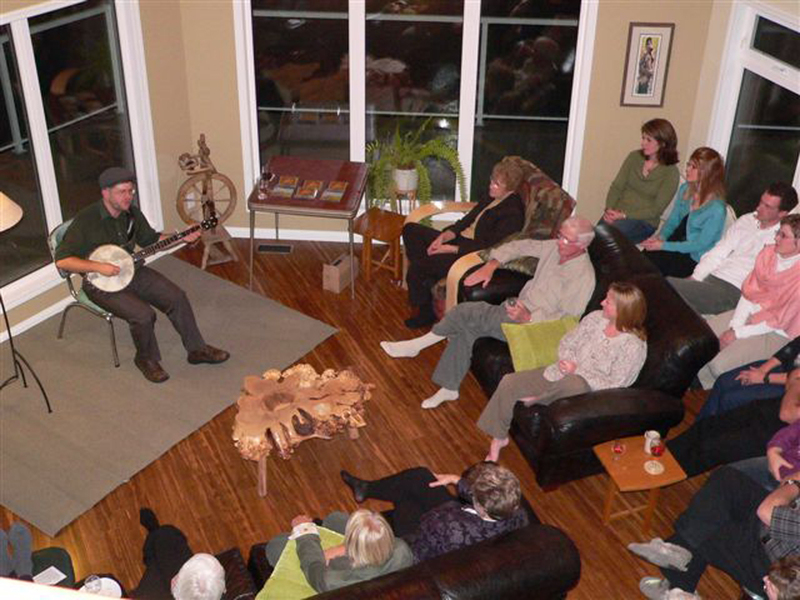 In simple terms, the Home Routes program is a series of house concerts. "Home Routes is about world-class musicians, known and unknown alike, performing complete concerts in the comfortable intimacy of private homes and other non-traditional spaces". For a more detailed overview of the program I invite you to click on the Home Routes logo above, which will take you to their website. Home Routes has been very active in Western Canada and Ontario for several years. This year marks the first year for the Maritime circuit which will include Nova Scotia, Prince Edward Island and New Brunswick. We are very pleased that Annapolis Royal and the Hillsdale House Inn have been selected as one of the stops in the circuit. Outlined below you will find the dates and the artists who will be performing in November, December, February, March & April. You will also find additional information about how the concerts work. Because there will be limited seating for each performance we will be taking reservations. As you will see there are some very interesting artists coming with a diversity of styles. To visit the websites of the artists click on their names below. Concerts will begin at 7:30 p.m. and end around 9 p.m., with a 10-15 minute intermission at the midway point. There is a $15.00 admission charge. Please plan to bring cash, which goes to the artist directly. CD's will be available for purchase during the intermission and following the performance. A wine & beer cash bar will be available prior to the performance and during the intermission. Advance reservations are required due to limited seating. Please call (902)532-2345 or email to reservations@hillsdalehouseinn.ca to reserve or be added to our electronic mailing list.